Spring is here! 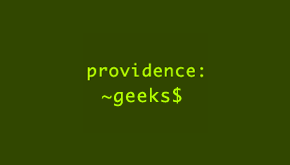 Come celebrate its arrival this Wednesday at the April Providence Geeks Dinner! The evening will feature Providence-based startup Knowyo, fresh off their win (“Best Presentation”) at last month’s LAUNCH Conference in San Francisco. Knowyo will help you to never forget a name again. Their web and mobile-based adaptive learning platform integrates with LinkedIn (and soon corporate social networks like Yammer) to enable you to quickly and enjoyably learn the names and faces of the people you need to know. At this Wednesday’s Geek Dinner, Co-Founders CEO Elie Schoppik and CTO Andrew Sohn will tell their startup’s story, demo Knowyo, and give a sneak peek of what’s coming next.